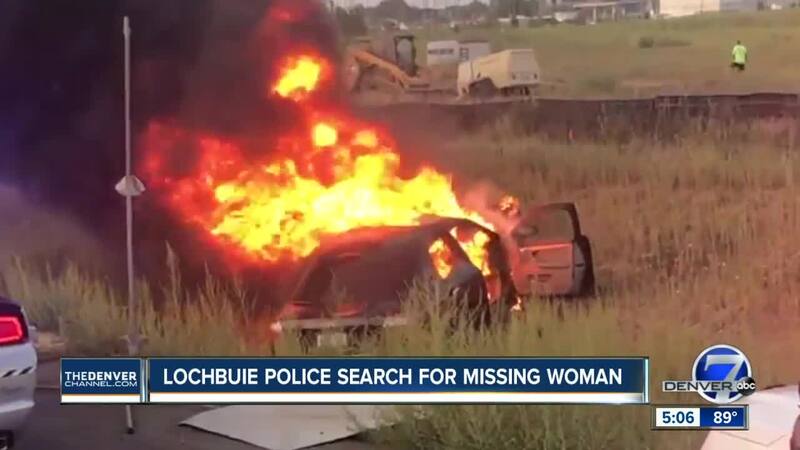 THORNTON, Colo. -- A man is on the run after a fiery crash two weeks ago in Thornton that left a pregnant wife and her husband with a long road to recovery. Colorado State Patrol (CSP) said this is still an active investigation and investigators are working on providing more updates for tracking down the driver responsible for the accident. CSP was trying to pull over a driver on Aug. 12 on I-25 when the car sped off. Witnesses said the driver was going extremely fast northbound on I-25 and took the exit onto E. 136th Avenue. They said the driver rear-ended another vehicle with Jason and Robin Morley inside, sending their car into a ditch. The car rolled a number of times. "It just flips and goes like four to 10 times over and over and over,” said witness Travis Northrope. “It was just crazy to see something that close. I have been in an accident before, like two in my life, but nothing to that nature." The driver responsible for the accident ran away after the crash happened. "The person that caused so much heartache in our lives is still just out there doing whatever he wants to do,” said Jason Morley. That day changed the Morleys' future. "My wife needs 24-hour care,” Morley said. "I haven't been able to be at work for two weeks. That's two-thirds of our income that just went away because of all this." They were also reminded that day of how precious life really is. "I could have lost my wife and my 7-month-old baby, well in the womb seven months.” Morley said. "She is everything to me, she is my pride and joy, and I just don't know what I would have done without her." The Morleys are taking it day by day to cope with new challenges. It's a bit different from what they had envisioned in delivering their baby. "We have to have a C-section at the hospital," Morley said. "It has to be monitored by neurosurgeons and everything because any type of movement of my wife’s neck could paralyze her for the rest of her life." Morley said his wife Robin and their baby are doing better, but she's still recovering. She just got out of the hospital late last week. Robin will be in a neck brace for another few months, and has to go to the doctor two to three times per week to check on everything until she delivers her baby. Family and friends are helping the family pay for their bills and medical expenses on a GoFundMe page.